Push Serious HP from the M62B44 Engine! 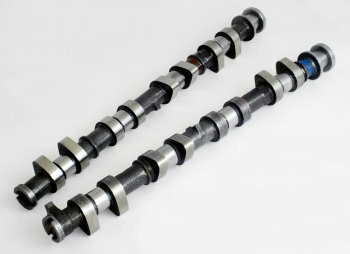 Cat Cams is already well known in Europe as a maker of fine camshafts for a variety of applications. Through proprietary software and testing that they developed in house, they create their own profiles that offer awesome and reliable power gains. Working closely with VAC for many years, they also manufacture many of our private label cams so we can attest to lots of real world feedback to aid them in making some of the best BMW camshafts at any price. Talk to one of our engine consultants to guide you into the proper camshaft for your application. The ECUs that run these cars are known to not show much increase in engine output unless a chip is tuned for use with camshafts. The rumor is that camshafts don't offer much gain with these engines but this is simply not true. VAC always recommends High Performance Valve Springs with any camshaft upgrade. These engines are older; up rated springs insure our customers always get the best performance and reliability they can.